Premium Remington 700 Trigger replacement w/components of A2 tool steel, heat-treated to Rockwell 58 and Carbo Nitride coatings. Sears are wire EDM cut and triggers are CNC machine using state-of-the-art robotics. 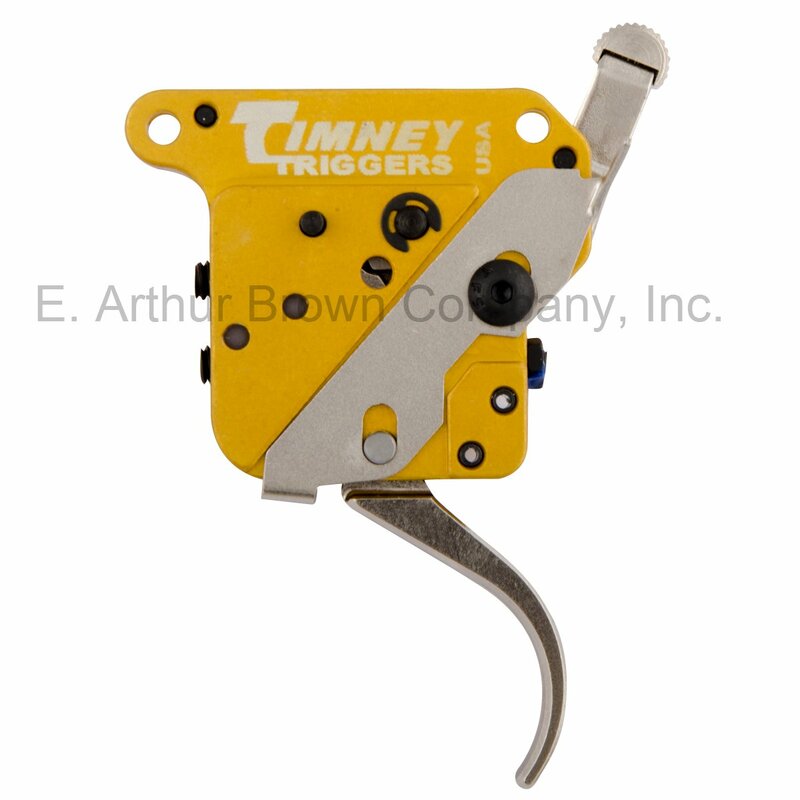 For the discriminating shooter, demanding the utmost performance from their trigger, Timney has created this line of triggers designed to be robust and yet delicate enough to be set with a pull weight as low as 8 ounces. A true engineering accomplishment, the lightweight 6061-T6 aluminum housings are CNC machined and anodized in Timney Elite Gold color. 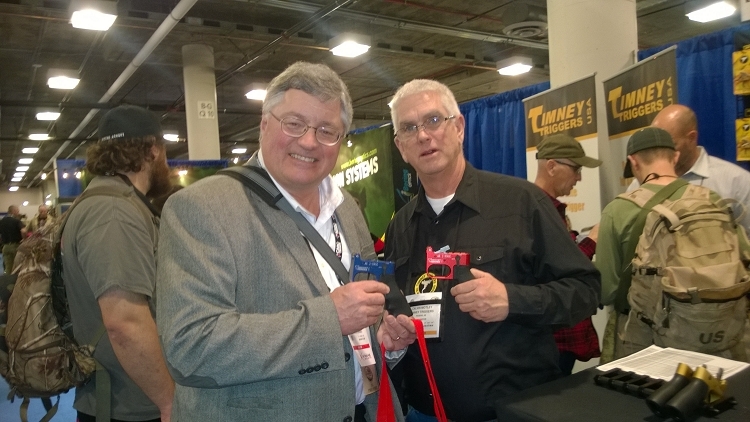 The Calvin Elite Series of triggers are named for Calvin Motley, Timney’s design genius, who is responsible for such award-winning triggers as the Timney AR drop-in trigger, Remington 700 with unique trigger blocking safety and loads of other critically acclaimed replacement triggers. Carbo Nitride Coatings are a thermochemical process that simultaneously diffuses nitrogen and carbon into the surface of ferrous metals. This coating is substantially harder than hardened tool steel and increases the long-term wear, provides exceptional corrosion resistance, far surpassing the military salt water corrosion standards and increases lubricity to your trigger. This should provide your Timney with a lifetime of smooth edges. • Self-contained drop in trigger. Heat treated Tool steel trigger and sears. • Featuring a double sear design. • Timney Golden Elite colored housing. • Two position, trigger blocking side safety. • Fully adjustable Sear Engagement, Over-travel, and pull weight from 8oz.-2.5lbs. • Available in blue(black) and Nickel Plated. • Carbo Nitride coated Sears to guarantee a lifetime of reliable service. • Lightweight 6061-T6 CNC Machined aluminum housing with Wire EDM cut, Heat treated Tool steel trigger and sears. • Teflon nickel coated Sears to guarantee a lifetime of reliable service.